Heavyweight football club Paris Saint-Germain first teamed with Jordan Brand last year, launching a multi-year exclusive collaboration that guarantees the Jumpman logo on PSG’s third and fourth kits. 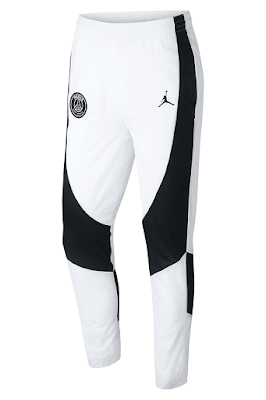 The second round of collaborative gear has emerged just in time for the club’s upcoming Champion’s League match in Manchester, sporting monochrome color-blocked patterns. 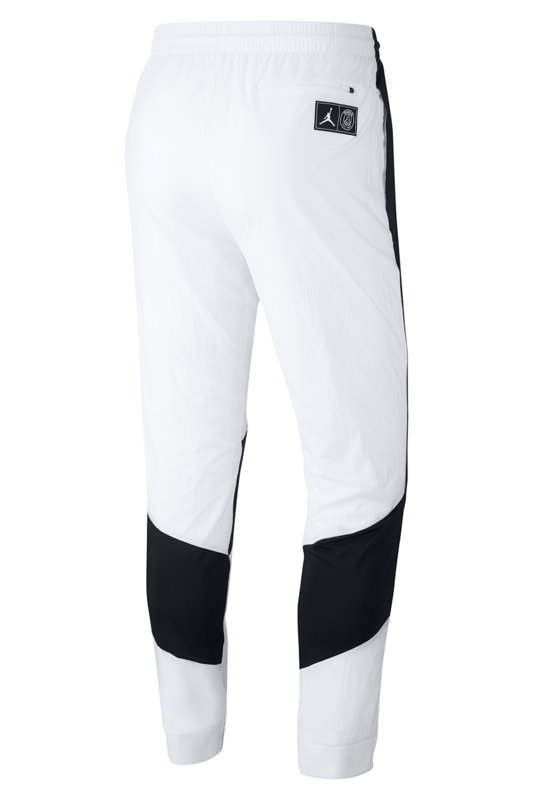 Various athletic essentials are executed in white, with black accents for contrast. 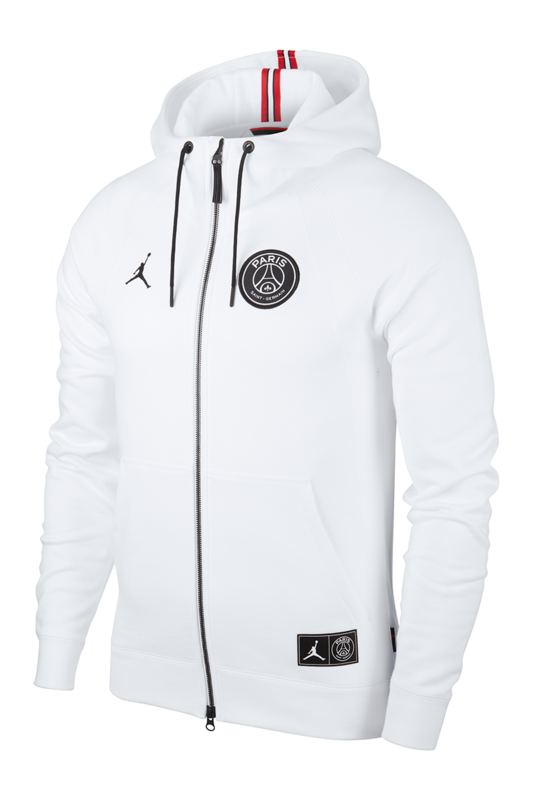 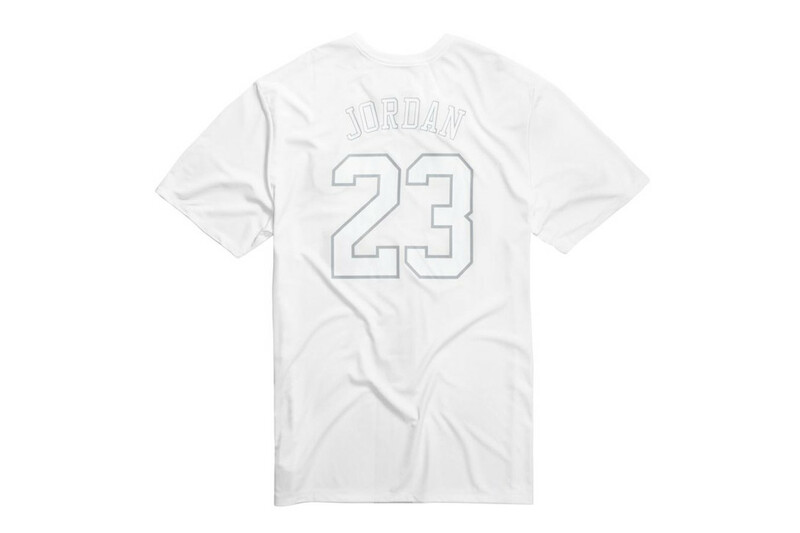 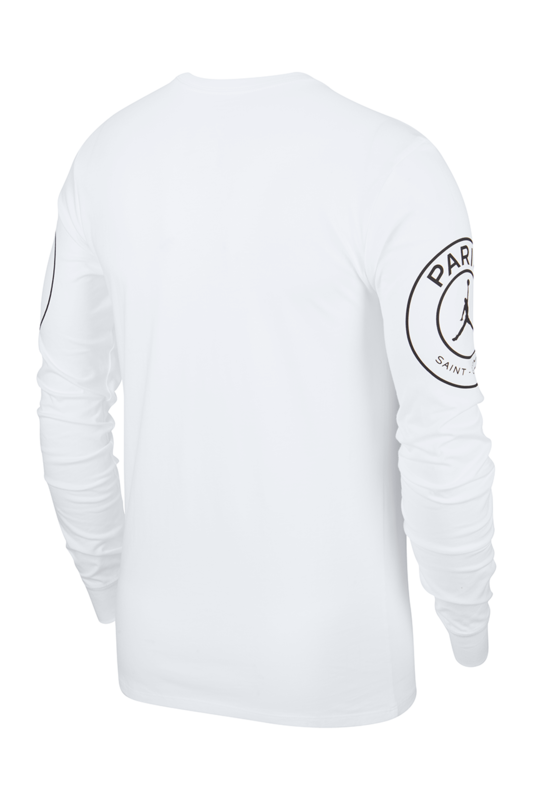 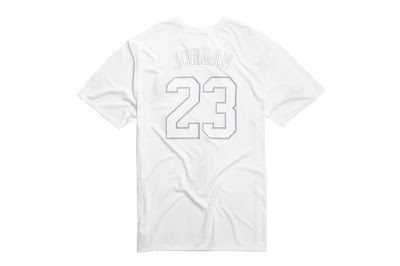 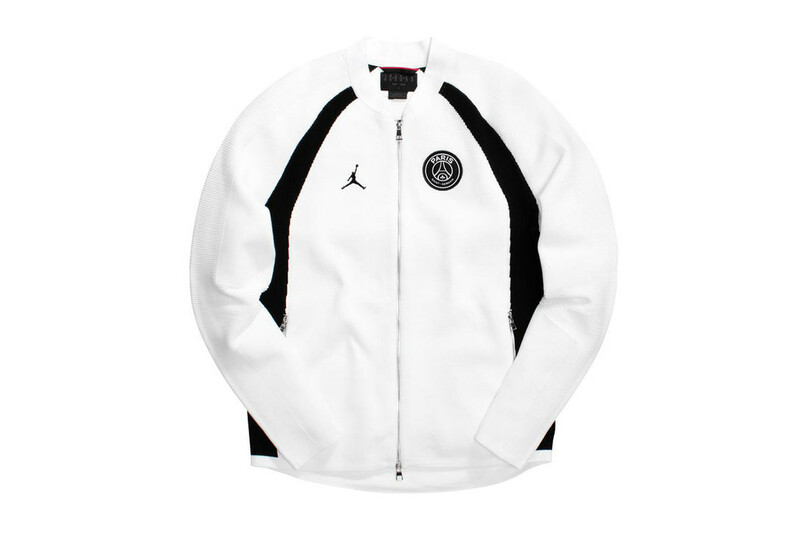 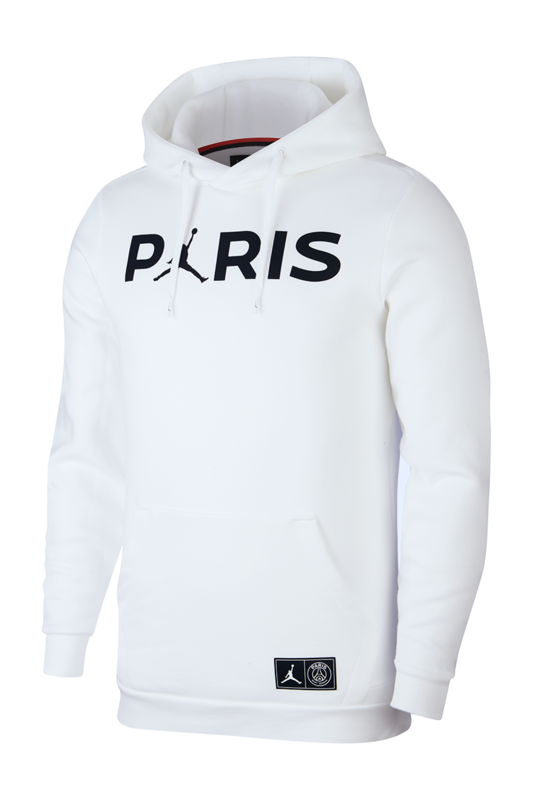 PSG and Jordan Brand logos intermingle for “PARIS” branding, standing apart from each other on T-shirts, pants and a hooded jacket, with the familiar red, black and white stripe adding a slight color pop to hoods and hat straps. 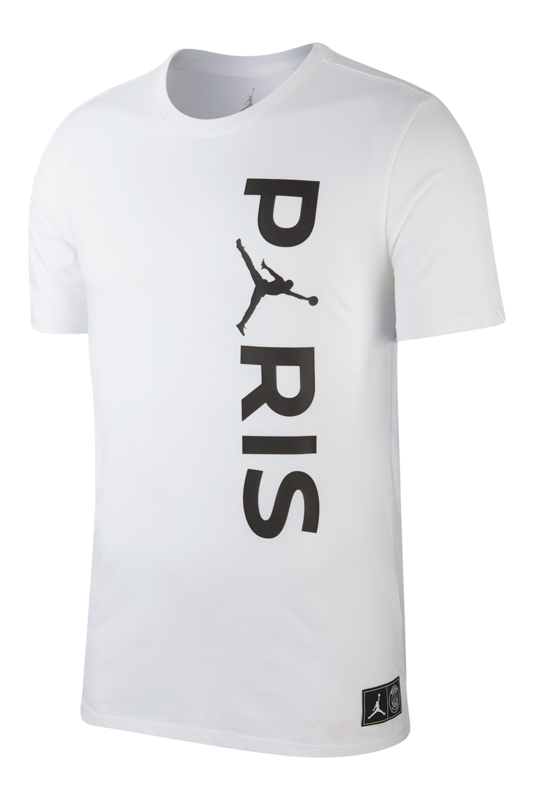 The club’s “Ici c’est Paris” slogan provides another graphic touch, embroidered on the rear of a white curved-brim cap and a BCFC SS Replica shirt, the latter of which also sports a “JORDAN 23” print on the rear. 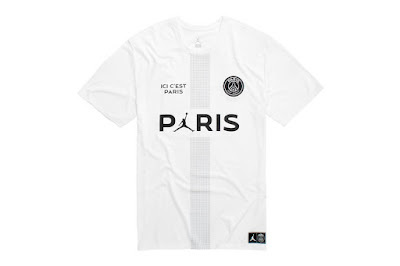 The new PSG are already on NIKE France’s site and will likely hit the Nike US web store shortly after. 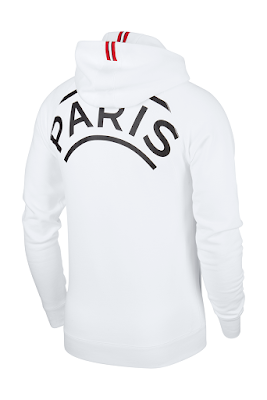 Check out BSTN‘s imagery of the other pieces from the collection below.